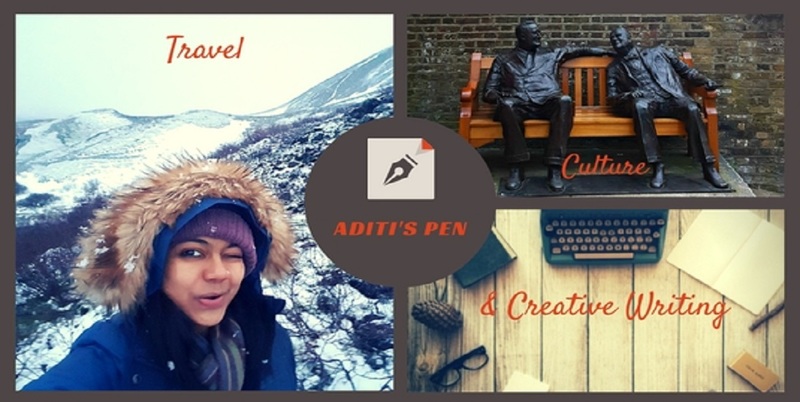 Aditi's Pen: Prepare to Be Illuminated! The mood inside is relaxed, people are tapping away on their laptops while sipping on their cocktails. I take a seat in one corner and look around mesmerized. Imbibing the true Soho culture, neon light signs and art works are everywhere on the walls. But this unique gallery is not just another Instagram-worthy place to visit. 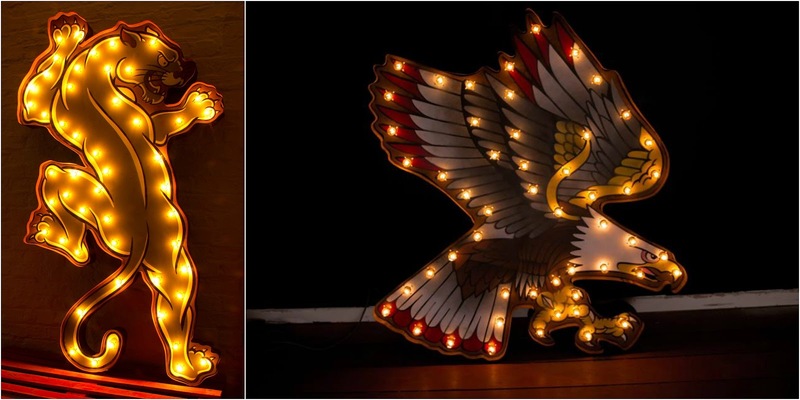 Lights of Soho, is a social enterprise, members club and an art gallery that regularly exhibits works from leading names in neon & light-art. And on current display are the works of a self-taught artist Roger Taylor, fondly known as Papi, who experiments with light in his artworks. Once introduced to Papi and his new work 'Be Illuminated', I get really excited and decide to do a quick interview with him. Papi, started as an actor, training in New York at Lee Strasbourg Theatre Institute. However, he found his real calling in fine arts. 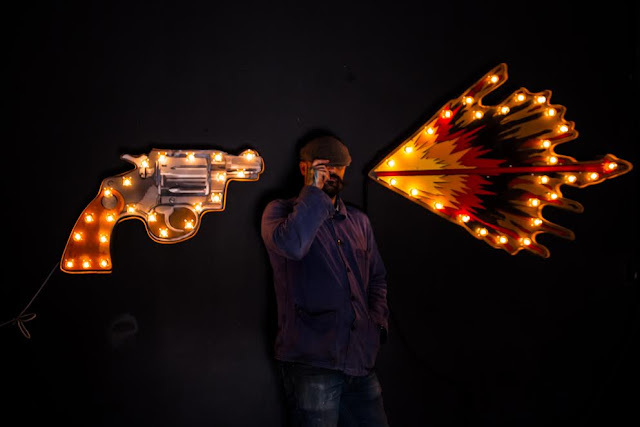 He moved onto working as a creative director for some of the city’s best nightclubs, creating the light sets for their weekly shows before moving to Manchester a couple of years ago, where he set up his own design studio. Although he uses a traditional approach to sculpting metal, he combines his art with light, creating unusual mixed media artworks. 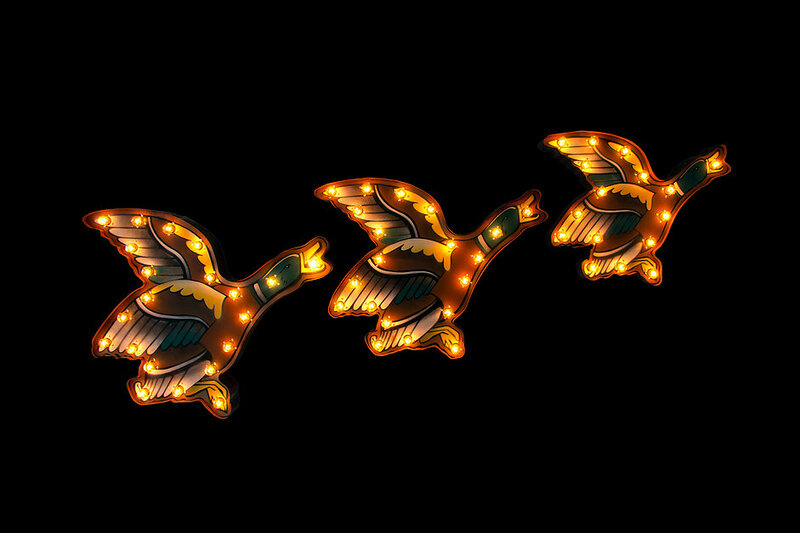 His current display, at Lights of Soho, is a magical haven with mermaids, exotic animals and angels. How did the transition from being an actor in New York to setting up your design studio in Manchester come about? Did the creative energy flow from acting to designing naturally? I have always been creative from a young age, be it in performing arts or visual arts, this is the way I feel most comfortable expressing myself. My life's journey has been very varied and I value the time I spent as an actor. I have always been involved in creating special environments for people to perform in or just enjoy, and living in many countries from South America to Asia has given me a wonderful palate of experience to draw from, which influences the work I produce today. How did you start working with lights and metal? What inspired you to choose vintage themes? I am mesmerized by light and have been since I can remember. The feeling that different types of light can evoke within a person is something so special to me, that little glowing thin thread is so hypnotic like a moth to a flame, it is amazing how adding and /or changing different types of lights can transform a piece of work. This recent collection of works has been inside my head for many years and a desperate need to see them in reality caused me to gather the materials and the knowledge that I needed to bring these thoughts into existence. My love of nostalgic bold images combined with my love of light was a natural progression, but the strong statement that the rusted, aged metal makes, I hope, is the element that gives the whole work a feeling of something that was here from a time gone by. Which piece of art took the longest to develop? And which is your favourite? Misunderstood! is the piece from this collection that took the longest to create and strangely enough it is my favourite piece too. It took the longest to make because there are a lot of life’s memories in that one piece. From Panthers, Mermaids, Swallows and Butterflies to Hearts & Daggers, your imagination is limitless. What is your creative process? From a seed to a blooming flower, take us through the levels of your process. Thank you so much. I now look at most images and objects these days and imagine what it would look like with light thrown in. Firstly I start to see the shape that this image would create and start to place the lights in areas that I feel would have a sympathetic fusion between light and art. When I have the piece in my mind’s eye then it is a wonderful journey to the first switch-on. I just love the way each layer of the work builds, from the initial shapes of metal cut, to the spraying of the images on the front plates, this is when I start to see it take on life. 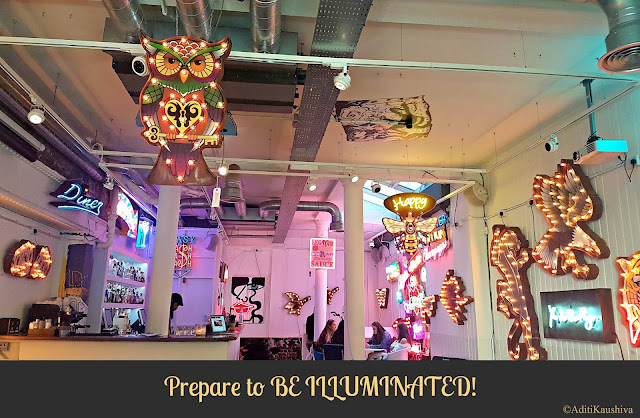 I hand shape each piece with tools I have made myself to get the exact shapes and curves I need, then I intricately wire each lamp (bulb) ensuring that not too much voltage gets to the lamp so that we get to see that beautiful glowing filament at the right intensity. Once all the layers are complete, they are then assembled into the final piece to allow for the much anticipated first switch on, I just love it! Art and light as one. You have also worked with some well know street artists such as Pegasus, resulting in an international exhibitions from London to Tokyo. How has that collaborative experience been? I love working with other artists, it is always an amazing opportunity to create something really special. When we get together to discuss the initial ideas I truly believe something magical happens when we decide to put light into one of their images. After London, where do we follow you next. I have a few large commissions to complete in London this year but we are in the early stage talks with a gallery in Shanghai for a show over there, we shall have to see. His work delights me, seeing the everyday and familiar in a new light, leaves me with a warm glow as I walk out of the gallery. Be Illuminated! runs until 13 May 2017 at Lights of Soho, 35 Brewer Street, London. Opening times: Monday-Sunday 11am-6pm; members only from 6pm-midnight. Nice to know about Papi. Excellent interview. really beautiful pieces and I truly love how you did your impromptu interview..
Oh wow- yes, Aditi my dear friend- that is spectacular!! Both the art work and loved your interview aw well- and what a stroll down the road can lead to right?! All the best on your next adventures sweetie! Vintage themes are the ultimate themes. This interview with Papi is fantastic. Loved the interview! Papi is anyway a star!